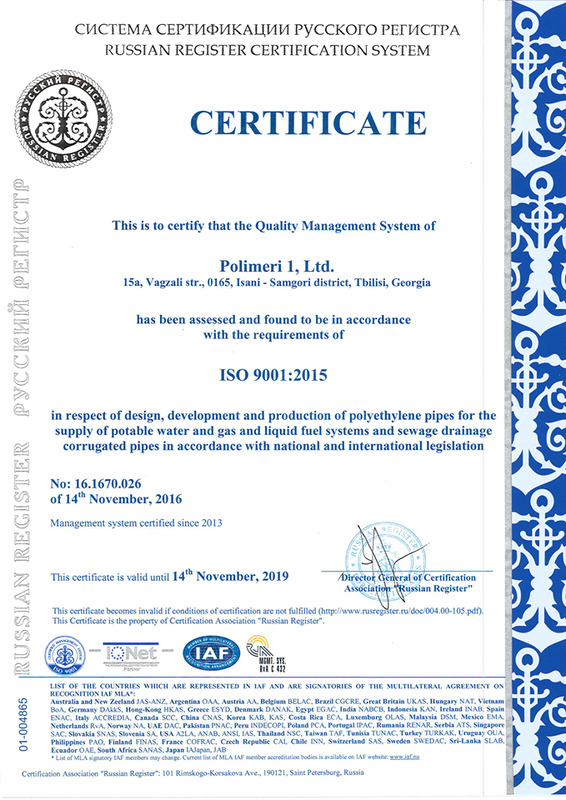 The company owns a factory which produced the polyethylene pipes of European quality for water and gas lines from 20 mm to 630 mm (incl) .The price is in full compliance with the quality. 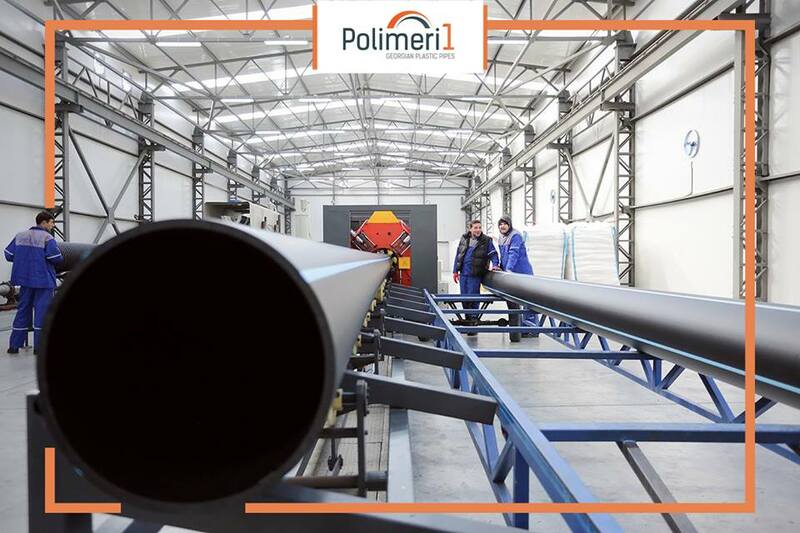 High-quality equipment and technology, allows us to make European standard polyethylene pipes for natural gas and water trunk pipelines .From 20 mm to inclusive 630 mm. 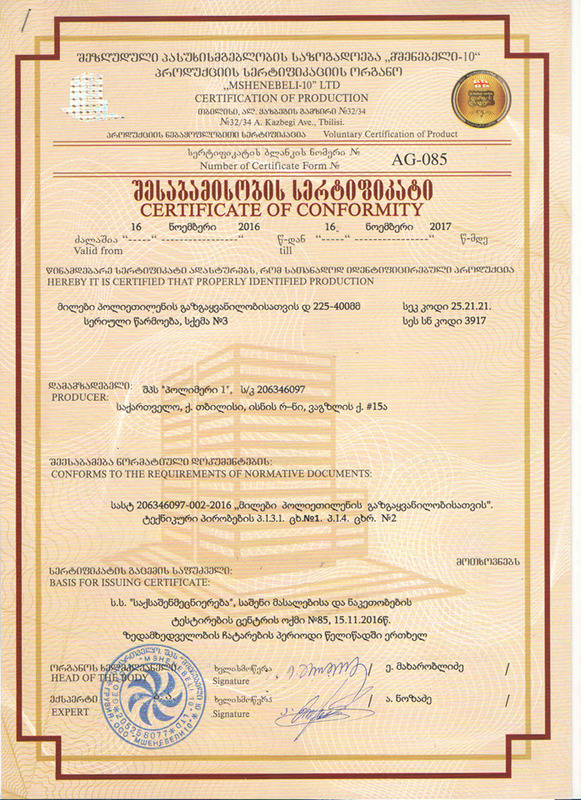 Working team high qualifications and long experience allow to produce products without of any shortcomings. 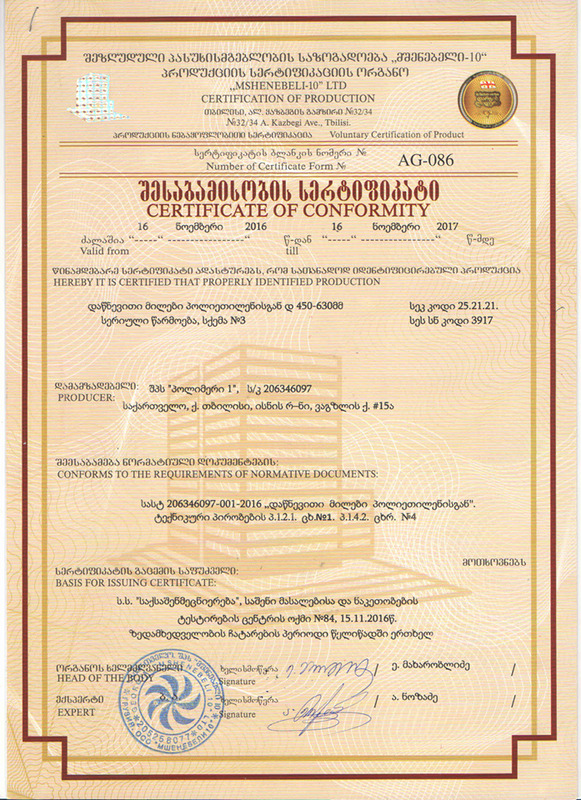 Our factory also has been granted ISO 9001: 2015 certificate. 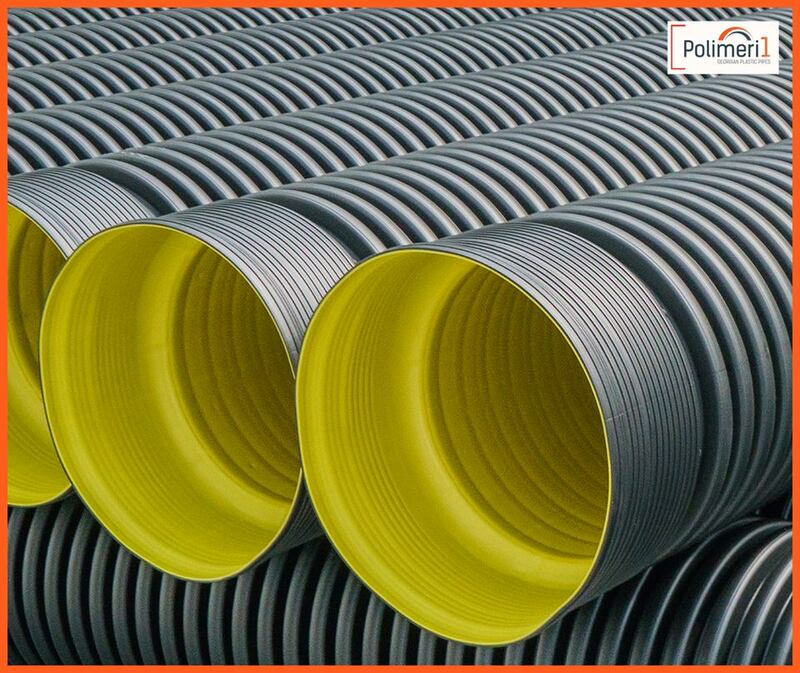 New "corrugated" pipes for sewage and drainage systems added to the variety of our products. 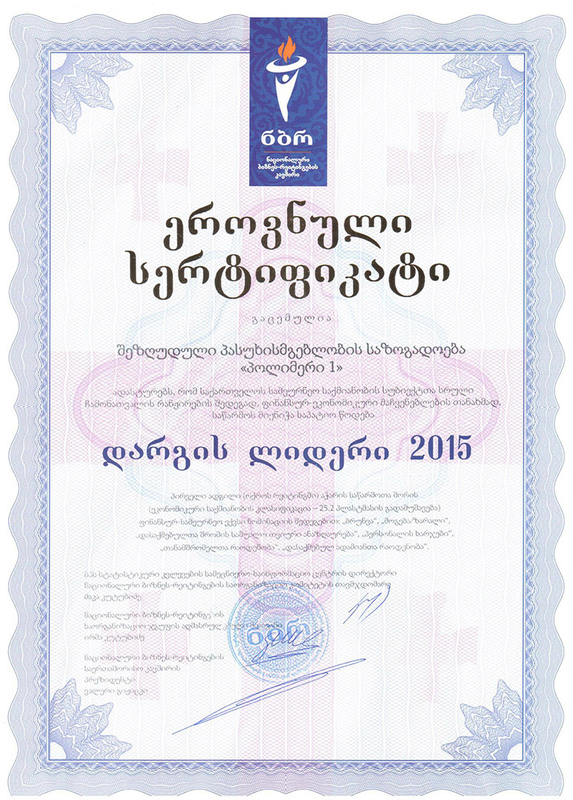 ISO 9001:2015 Georgian polyethylene pipes. 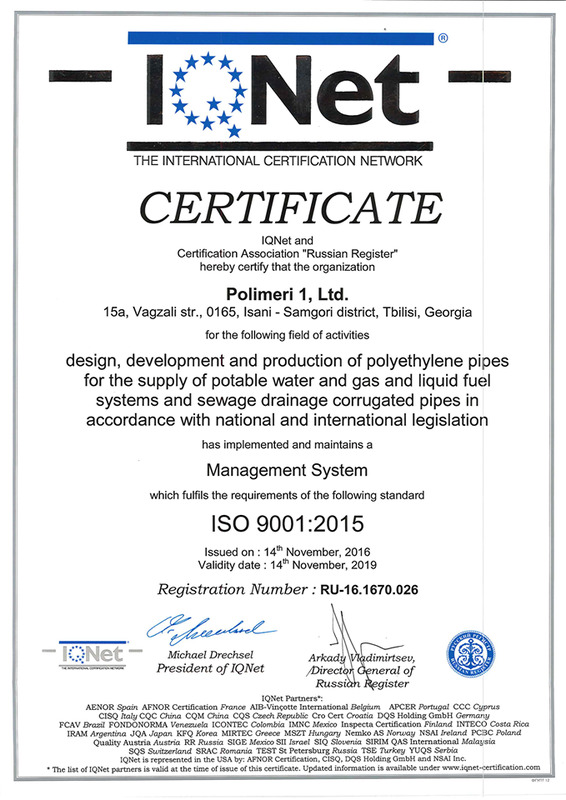 We have 32 years of experience, also we have highly qualified engineers and technical staff trained by us.The company owns a high-quality modern technologies.With curling of high-diameter (20 mm to -140 mm) pipes , our customers get 5 times less flow rate in time and financial terms during the working process .The company also produces the European quality pipes, which exploitation period is 50-55 years.